Like every artist, Ellie Goulding usually takes to the stage to play and promote her own work. But, every now and then, however, Ellie uses her platform to support great causes. 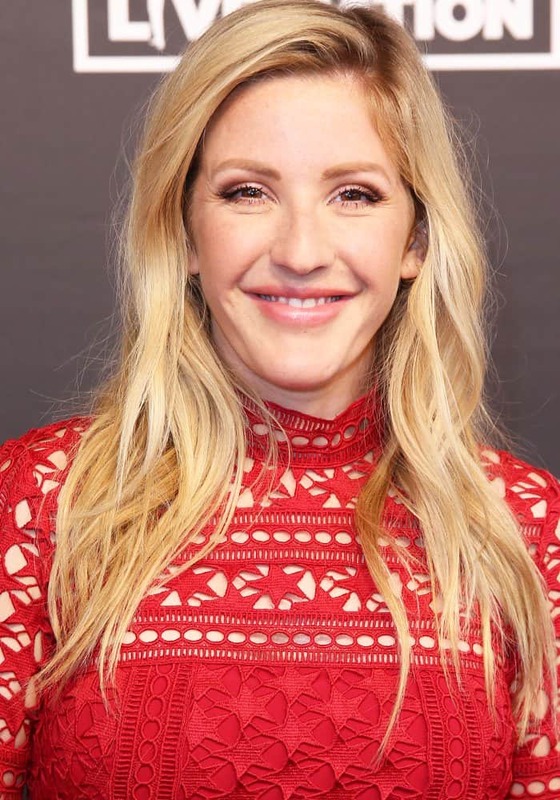 Ellie left the comforts of London and traveled a short distance to Hamburg, Germany, in order to perform some of her greatest hits at the Global Citizen Festival. The “Love Me Like You Do” crooner performed on stage to bring awareness to climate change. Ellie Goulding at the Global Citizen Festival at Barclaycard Arena, Hamburg in Germany on July 7, 2017. Lady in red: Ellie goes for a sweet look in a Self-Portrait lace dress. 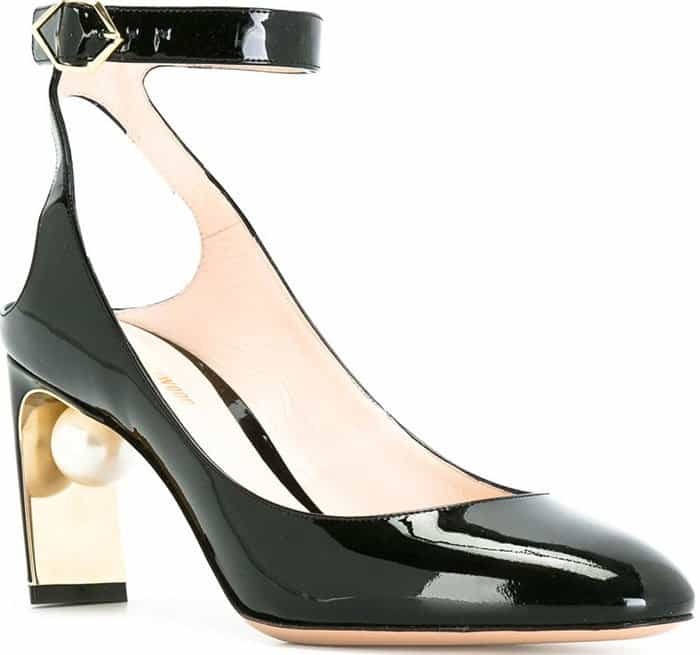 Ellie keeps things interesting with a pair of Nicholas Kirkwood “Lola” pearl pumps in black suede. Ellie tossed aside her recent skin-baring black dresses for a sweeter look, opting for a red layered lace dress by Self-Portrait. The 30-year-old muted the look down with a pair of Nicholas Kirkwood “Lola” pumps in black suede. 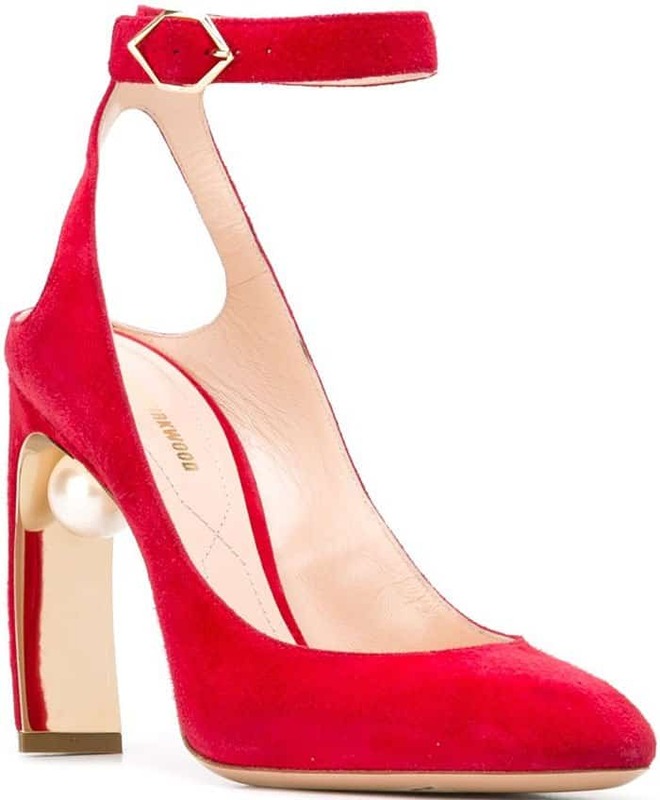 We love that she kept things interesting with the pumps pearl detail. However, we’re not quite convinced that she picked the right shoes for the dress. We would have loved to see a beautiful pair of sandals on her feet instead. Ellie gives interviews on the carpet before getting ready for her stage performance. The pop star performs some of her greatest hits for a cause. Ellie changes into an all-black ensemble for her stage. Ellie later changed outfits before she took to the stage, opting for a signature black dress paired with an oversized fringed shirt and lace-up boots. The 30-year-old was later seen posing with Canadian Prime Minister Justin Trudeau, who also traveled all the way to Germany to champion climate change awareness. 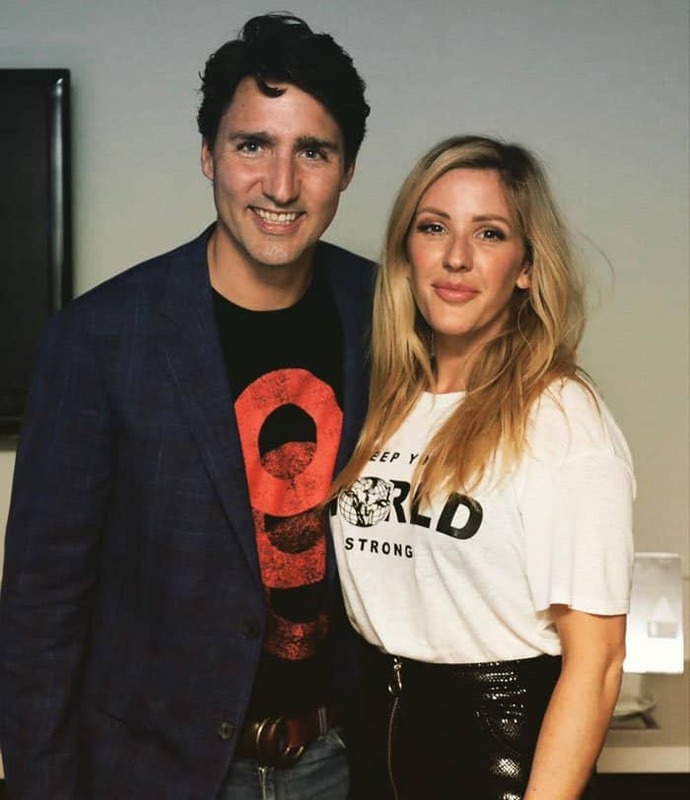 Ellie poses with Canadian Prime Minister, Justin Trudeau. 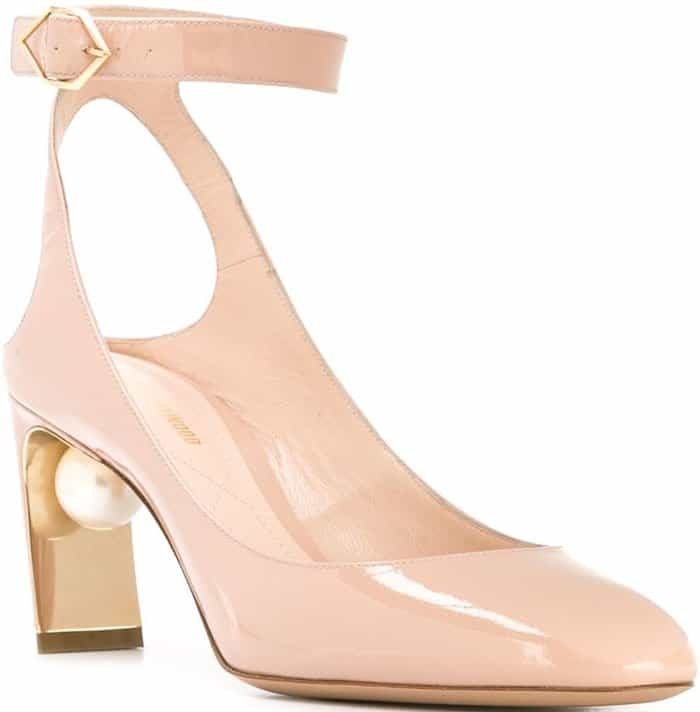 Shop Ellie’s Nicholas Kirkwood “Lola” pearl pumps at Farfetch.